Light gold color. Aromas of kettle corn and caramel sauce with a silky, bright, dry-yet-fruity light body and a smooth, relaxed chocolate covered redskin peanuts finish. An easy-drinking blended whiskey that hits all the notes. 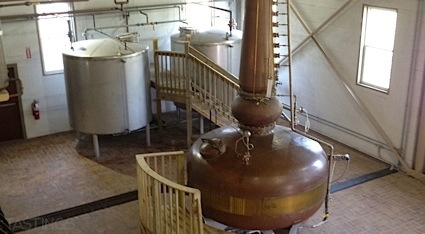 Bottom Line: An easy-drinking blended whiskey that hits all the notes. 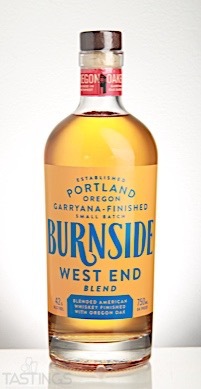 85 • Burnside West End Blended American Whiskey 42% (USA) $26.95. 85 • Burnside Goose Hollow RSV Bourbon 46% (USA) $39.95. 88 • Burnside Oregon Oaked Bourbon 46% (USA) $29.95. 84 • Eastside Distilling Below Deck Coffee Rum 35% (USA) $16.95. 86 • Eastside Distilling Hue-Hue Coffee Rum 35% (USA) $19.95. 91 • Eastside Distilling Below Deck Silver Rum 40% (USA) $15.95. Burnside West End Blended American Whiskey rating was calculated by tastings.com to be 85 points out of 100 on 11/28/2017. Please note that MSRP may have changed since the date of our review.